For today's tip I'll introduce you to a service that I found most interesting. The nice part about this is that it's not only fun and easy, it's free! Have you ever taken a photograph of the night sky but had no idea what you were looking at? Well that doesn't have to be the happen any more. 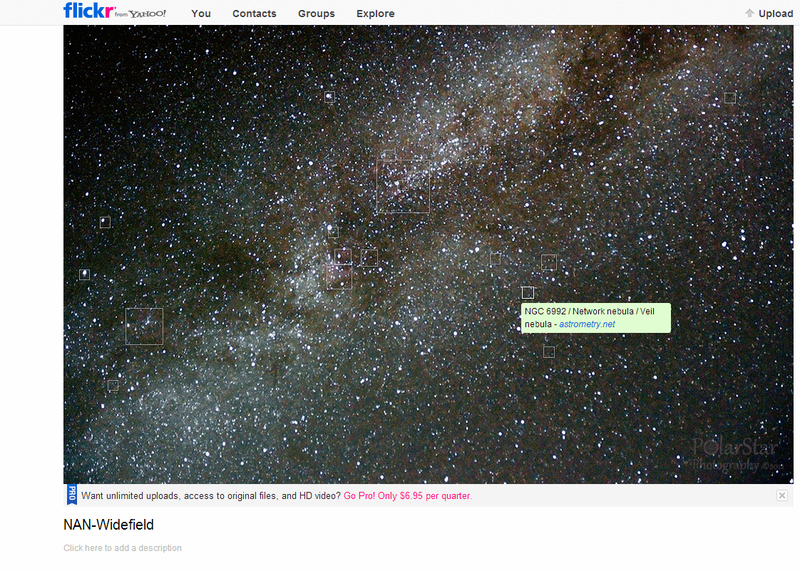 Introducing Astrometry this service is ran through your Flickr account. The five easy steps to being a "Master Astronomer"
If you do not have a Flickr account, create one. Upload your star photos to Flickr. Post your photographs to their group. Sit back and wait about 1 hour. And voila, you now have a fully annotated photograph showing the major stars and deep space objects.